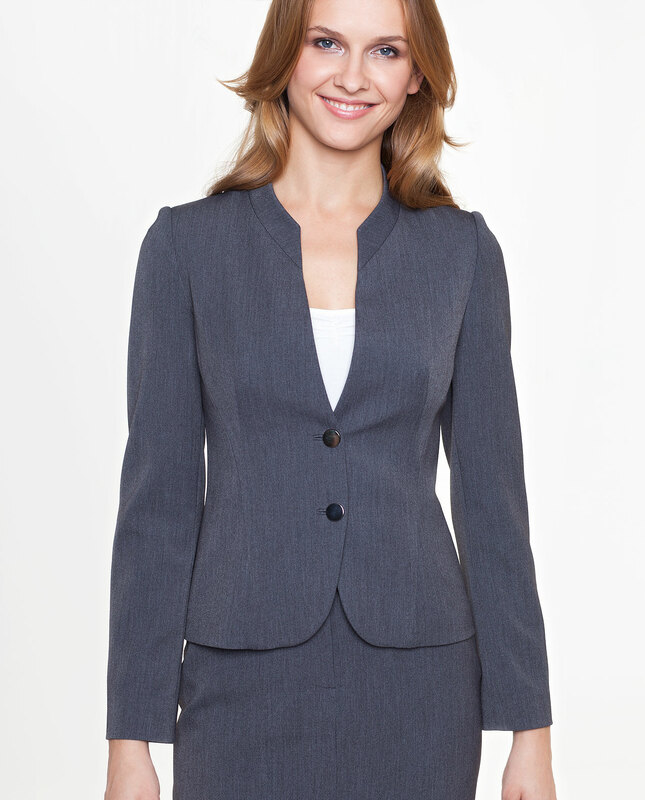 A classic grey jacket with a fitted waist. Fastened at the front with decorative buttons. 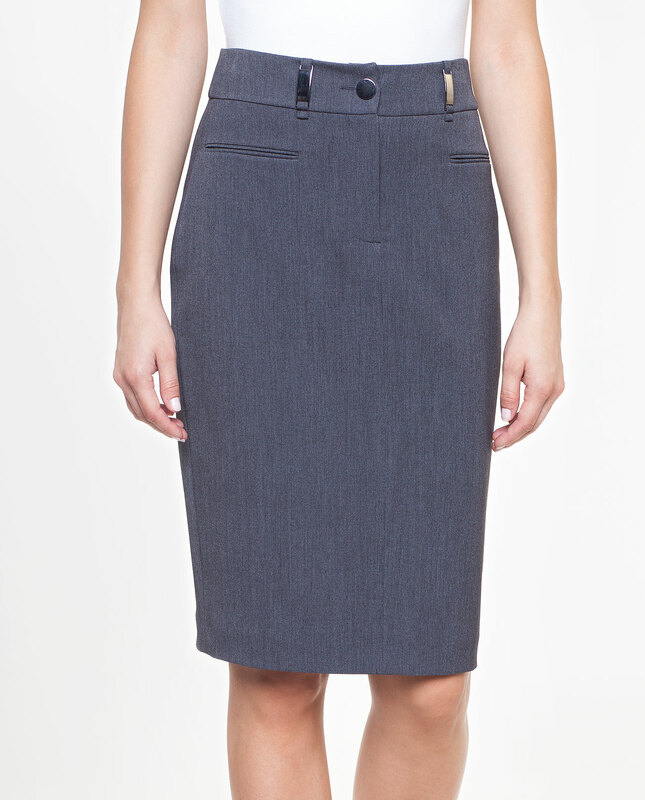 A very smart and feminine garment with special darts thanks to which the silhouette gains appeal at the waist area. It is a perfect match for high-rise trousers and classic skirts. The jacket can complement every look, both casual and formal. Ideal as a business outfit.